2016 was Capital One’s second year as a Super Sponsor of SXSW. From the 22 daytime sessions, to demos and meet ups, to evening entertainment, they left their mark on Austin. 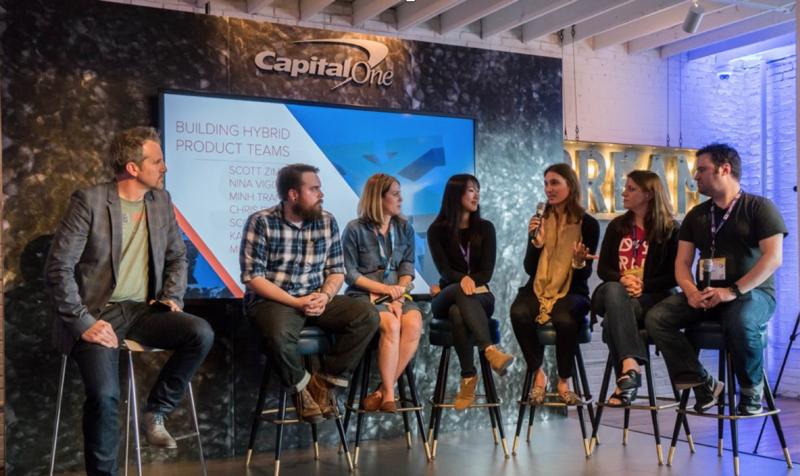 The Capital One team at SXSW enjoyed meeting and talking with everyone who stopped by the Capital One House to find out a little more about how they are reimagining the way people and businesses interact with their money. Capital One shared two big product announcements last year at SXSW: first, the Capital One DevExchange, which opened up their API platform and invited developers to start using Capital One’s APIs. Then, together with Amazon, they introduced the Capital One Skill for Alexa, which made them the first financial institution to allow customers to make payments and get financial information simply by using their voice. And of course, there was the music. Capital One hosted a four-day run of music at Antone’s that Austin360 said ‘further blurred the lines between SXSW interactive and music tracks.’ The nightly entertainment included music from 12 bands, highlighted by national acts such as Common and Third Eye Blind as well as top Austin-based artists. With SXSW 2017 less than a month away, Capital One is excited to be hosting 25 sessions at the Capital One House @Antone’s, including many on the official SXSW program, plus several interactive physical experiences, more “firsts” and announcements for consumers, businesses, and developers alike. Conducting Good Design Research: Why’s It So Hard? – Get nerdy and talk about the science-y reasons behind why conducting good research is so hard and outline tactics a team can use to be confident in moving from research to action in pursuit of innovation. Accessibility: Why It’s So Important – They’ll make a compelling case to solidify accessibility as a staple of design, development and product management to ensure apps are easy to use for everyone – including persons with disabilities. Preparing Our Communities for the Future – A diverse panel of technology, social good and labor market experts will share insights on the top needs to prepare our communities to thrive in the 21st century economy and how we can work across sectors to drive meaningful change. Filling the Gap: Small Steps Lead to Great Change – A session on Unconscious Bias Awareness with tips on how to break stereotypes, bring our differences the surface and creating a culture of inclusion. Robo-Advisors: The Good, The Bad & The Future – Prominent leaders in robo-advice technology discuss one of the hottest trends in retail investing. This panel will explore customer adoption trends and challenges, and the industry’s opportunity to transform product development and revolutionize the investing experience. Capital One stays true to Austin as the Live Music Capital of the World…so you know there will be music. Mum’s still the word on their evening entertainment line-up, so be sure to follow them on Twitter and Facebook for more–or check out the SXSW mobile app.